As many readers may know, since its foundation, a core goal of Old Collegians has been to support the growth of rowing in Ireland in general. Whilst the Club’s main focus has always been the support of UCD Boat Club and UCD oarsmen,we also look to support Irish rowing outside the walls of UCD Boathouse when we can. In recent years, OC has had a small number of elite women scullers and they were joined some years ago by Sanita Puspure. Sanita was born in, and represented Latvia at Under 23 level but had been living in Ireland for many years, where both of her children were born. 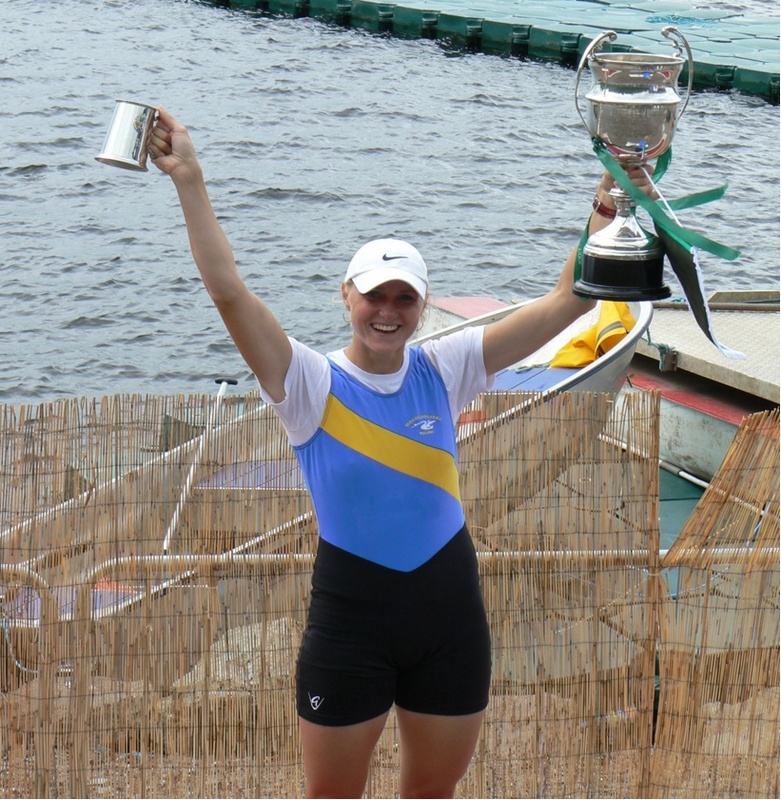 Having joined OCBC, Sanita was coached by Phil O’Keeffe and won the Senior Sculls in the Irish National Championships in 2009 and 2010 (winning double sculls in 2010 also (see below). In 2011 Sanita set a new personal record on the ergo – 6 min 43 s. Victories followed in both the 2x and 4x at Womens Henley . However until Sanita’s Irish citizenship came through, she could not benefit from what support structures were available to the Irish squad and Old Collegians, and in particular John O’Keeffe and Paul Romeril endeavoured to help Sanita as much as possible. Now an Irish national, Sanita has been training full-time with the Irish squad over the past couple of years, and has moved to Inniscarra to train as much as possible. 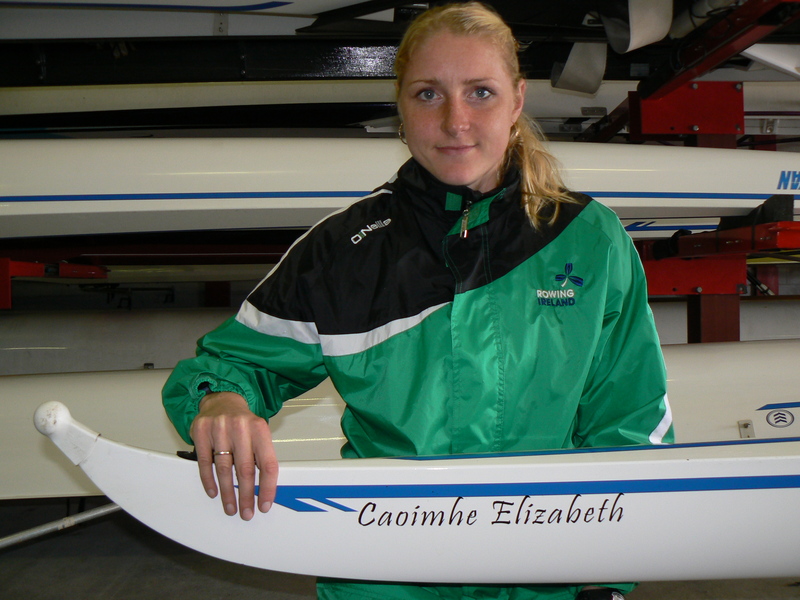 She is now one of the few remaining Irish hopefuls for olympic qualification for London 2012. Her recent form has been very good. Initial plans for an Olympic 2x gave way, and it was recently decided that Sanita should compete in the single. In her first significant international outing she placed fifth in the World Cup event in Belgrade (more info here and here). Now, the last chance for olympic qualification is in Lucerne regatta, where three qualification spots are available in the women’s 1x (more info here). We all wish Sanita the very best for her racing in Lucerne, which takes place May 20-23. This entry was posted in OCBC - Rowing by jameskelly. Bookmark the permalink. Good luck in Lucerne Sanita … we’ll all be shouting for you! Thanks for the update James, enjoyed the read. Sanita races 20th to 23rd May in the final Olympic Qualifying Regatta in Lucerne. There are 17 entries, and three places to be raced for. It’s all — or nothing! and it’s the most tense and nerve-wracking event on the rowing calendar. Sanita’s name is one of the three mentioned in FISA’s bulletin for the event. Give her every good wish and encouragement possible. She may well be Ireland’s only rower in our team at the Olympics. Go for it, Sanita, all Ireland’s rooting for you! We want you there to represent us all!